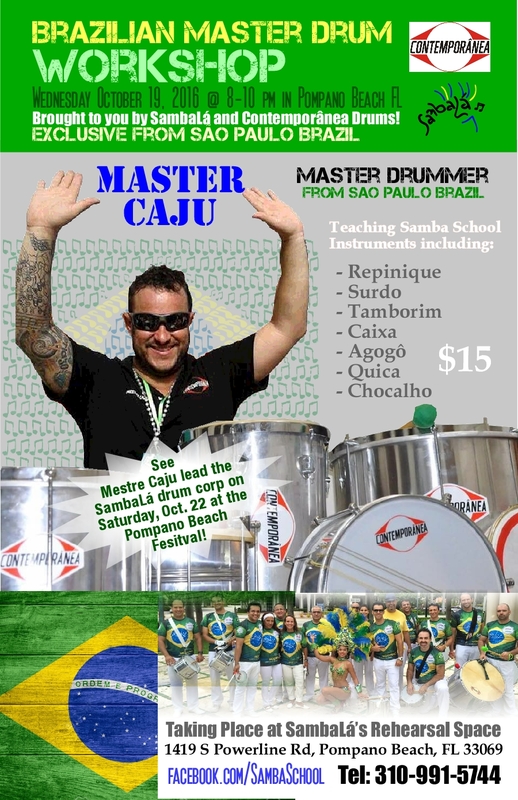 Join SambaLa and Contemporanea drums for a master workshop with Mestre Caju, one of the top samba percussion teachers in Brazil. Learn all the instruments of the samba schools including repinique, surdo, tamborim, caixa, agogo, and quica. October 19, from 8-11 pm at the SambaLa Rehearsal Space. Admission is $10 for members, $15 for non-members and instruments are provided although you are encourage to bring your own if you have them.